HARDWICK - Katherine C. Eldred, 91, passed away Sunday March 24, 2019 after a valiant struggle with cancer. She was in her own home on Maple Street with her son Kenneth and daughter Pat by her side. She married Francis M. Eldred on May 26, 1945. They were married for 34 years, until his passing on May 27, 1979. They farmed with horses while raising a family. She was predeceased by three sons and a daughter. She is survived by a son, four daughters, many grand and great grandchildren and other extended family. She is also survived by her brother Rodney Allen and sister Elaine Aratare. Details about her graveside services in the spring at the Waterville Cemetery will be announced at a later date. 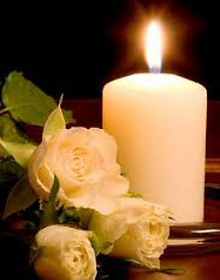 The des Groseilliers Funeral Home in Hardwick is in care of arrangements and those wishing to convey condolences and memories with the family may do so at dgfunerals.com. Contributions in Katherine's memory may be made to the following charities; Saint Jude's Children Hospital, Shriner's Hospital for Children, and Caledonia Home Health and Hospice Care.